I returned Back from Tirumala Tirupati after a Blessed Darshan of Sri Venkateshwara Perumal. I was Also Able to Visit Sri Padmavati Amma at Tiruchanur & Other temples in Tirupati. 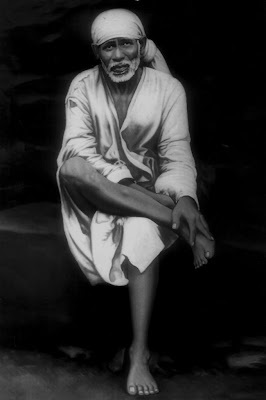 I Successfully Completed 52 Days & 7 Guruvar Special Sai Baba Puja Till Now. 53rd Day of 123 Days [74 + 49] & 8th Thursday/Guruvar of 18 [11 + 7] Weeks Special Sri Sai Baba & Maa Saraswati Devi Puja for Children Attending Annual Exams. I Successfully Completed Day # 53 & 8th Thursday/Guruvar Puja with Puja Sankalpam for 331+ Students. I was Able to Spend 2+ Hrs in the Day to Perform the 53rd Day Prayers at My Home in Tumkur. Meanwhile my Sister also Performed Sankalpam & Ashtothara Shatanamavali Archana at her Home in Visakhapatnam. In the Afternoon by 12:50pm I Visited Sri Shirdi Sai Baba Mandir at Amarjyothi Layout, Tumkur to perform 108 Pradakshina & Dhuni Puja as Part of 8th Week Guruvar/Thursday Puja. This Temple was Crowded with Sai Devotees for Thursday Prayers & Afternoon Madhyan Aarthi Was about to be Performed when I Reached the Temple. I was Able to Attend the Aarthi Too after Pradakshina & Dhuni Puja. Annadanam was performed after the Aarthi. This Temple had Performed 6th Temple Anniversary with Sai Baba Paduka Arriving from Shirdi as a Special Attraction & Blessings to the Sai Devotees here. Remaining 70 Days & 10 Thursday Special Puja are yet to be Performed.